With the King now captive in Bristol, the opportunity for Matilda to secure the throne had come and events moved quickly. Firstly, Robert and Matilda secured the backing of Henry, Bishop of Winchester and now Papal Legate (Stephen’s brother) and Theobald of Bec, the Archbishop of Canterbury. 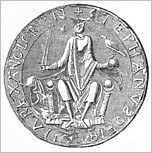 In addition she also had the support of other notable barons such as Brien (Brian) Fitzcount, the illegitimate son of the Count of Brittany, and Miles of Gloucester. King David of Scotland had also stood by her claim and made an appearance by her side in London. It was here that it all went wrong. The Londoners were never particularly supportive at any rate, but Matilda apparently angered them with her demands and high handed treatment. When Stephen’s wife, Matilda of Boulogne, rallied the king’s supporters and raised an army with the help of William of Ypres and advanced on London, the Londoners took up arms. They besieged the Empress and she and her supporters were forced to flee to Oxford Castle on 24th June. 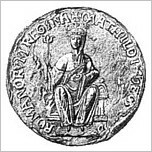 Matilda, who had styled herself Lady of the English, was never crowned. Further misjudgements, military routs, and misfortune followed. Henry, who as always seemed adept at reading the winds of change, opportunely switched his allegiance back to Stephen, and with a small force laid siege to Winchester Castle. On 31st July a substantial army commanded by Robert arrived in Winchester. Henry and his men fled to Wolvesey Castle which was in the south east corner of the town, and it was promptly put under siege. On 2nd August the bishop’s men set fire to the city which destroyed a large portion of it. Meanwhile, Matilda of Boulogne had assembled a well provisioned army which included mercenaries hired by Henry, the mercenary cavalry of William of Ypres, a nearly 1,000 strong London militia, and a levy of the Queen’s feudal tenants from Boulogne. The intention was to blockade Matilda and Robert’s forces in the city and it was a tactic which proved to be very successful. Robert’s forces soon began to suffer from lack of food and, in an attempt to weaken the blockade, Robert attempted to fortify Wherwell Abbey six miles to the north of the city but William of Ypres defeated them with heavy losses. Now convinced that he must retreat from Winchester Robert planned their withdrawal. Brian Fitzcount and Reginald, Earl of Cornwall led an advance guard which protected Matilda. The main body and the baggage followed, with Robert commanding the rear guard. 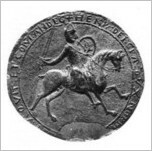 On 14th September 1141 they left the city and it was while Robert was fighting a rearguard action against the forces of Matilda of Boulogne at the river crossing of Stockbridge that he was captured. Robert’s actions had allowed his half- sister to escape but Robert was imprisoned for two months at Rochester Castle. Henry and Matilda’s successful defence of Winchester proved to be a crucial turning point in the civil war. With events once again at a stalemate, there was but little choice for both parties to agree to an exchange of prisoners, Stephen for Robert. 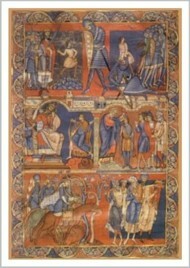 The exchange took place on 1st November 1141 at Winchester. 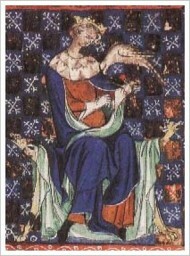 Stephen once more took up his duties as King and retained his position until his death. The war continued but it soon become obvious that neither side were in a winning position. A Note: Today, 25th October, is of course the anniversary of King Stephen’s death in 1154. 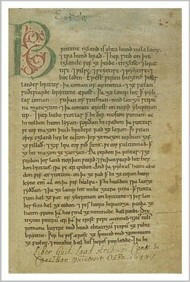 Who’d have thought that 858 years later someone would be enthusiastically writing about his deeds in a blog on the internet using a computer? Crazy! Vale Stephen of Blois, and although Faversham Abbey is long gone, rest well, wherever your bones may be.